Coming up on July 19th at 6:00pm we will have our annual picnic. It will be held at the Tech Center. The CMWA will be providing hotdogs and hamburgers and all of the other goodies will be pot-luck. I hope all of you can come check out the progress of our shop and enjoy some good food and conversation! April brings extremely good news for the CMWA, we now have a brand new home! We have been working closely with the folks at the Paramount and now the Tech Center is available for us to set up a true woodworking shop! There are still a handful of things to work out yet but we will be having our April 19th meeting there. Eventually, volunteers will be needed to help build permanent workbenches and help get everything all moved in. I hope you all can make it and help welcome in the new shop! 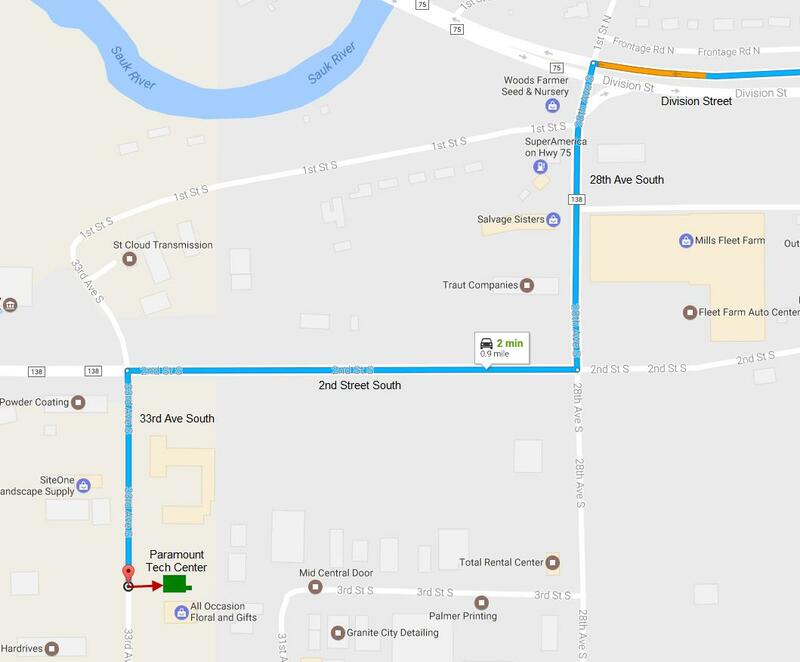 Below I have a map included for directions to the shop (it is near Mills Fleet Farm in Waite Park) Here is a link that brings you right to the Tech Center. March’s meeting we will take a little break from all the excitement and come back to our own shop for the presentation. Devin plans on doing a demo on Project Planning, Layouts, Cutlists, Bill of Materials, Drawings, and CAD. 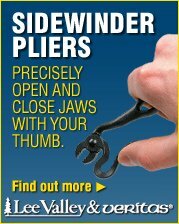 We’ve all heard the saying “Measure Twice, Cut Once” and he’d like to take that to the next level with this presentation. When he starts a new project he always like to do my drawings in CAD. It can be extremely beneficial to have a clear plan on what to do; it helps eliminate costly errors and helps get your concept nailed down before you even power up the table saw. A few free programs are available for download if any of you would like to start playing around with them before the meeting, then if you have any questions he can answer them. Our February meeting will definitely be an interesting one. It is going to be held at St. Johns University and we will be going on a tour. 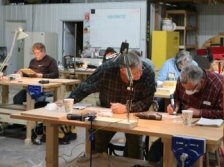 Starting off we will be in the woodshop taking a look at all their tools and what they have to work with. Then we will go on a little hike to the guesthouse (Building 7) to see some of their completed projects and if time allows we will end at the Library (Building 12). We will meet at a little later than our usual meeting time; 7:30 on the February 15th. You can learn more about the SJU Woodshop on their website. I have attached an image of the St. Johns campus for clarity. 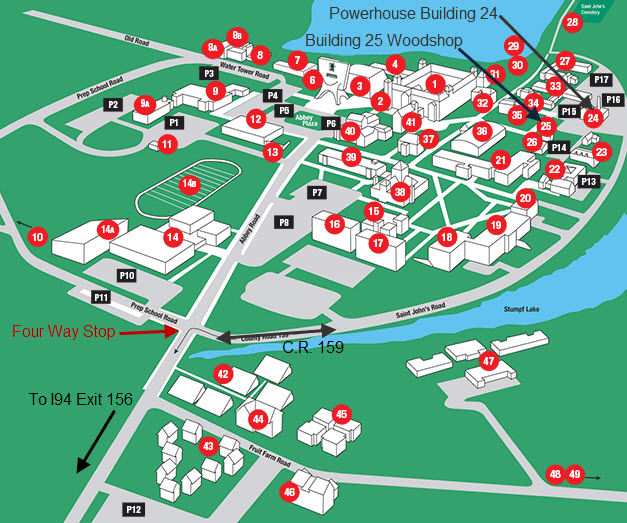 We can park in front of the Powerhouse (Building 24) and then we can meet in the Woodshop (Building 25). Our December meeting will be Dec. 21st at the Paramount in the basement at 7 pm. This will be our Christmas party spouses are welcome to attend. We will be having a potluck as we have had in past years. Will also have the silent auction again this year, so bring some tools, wood, or stuff you want to get rid of. The proceeds will go to the club.